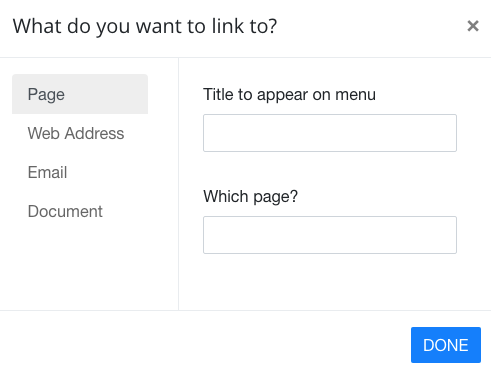 You can add links from your website to another website or a page or resource in your own website. 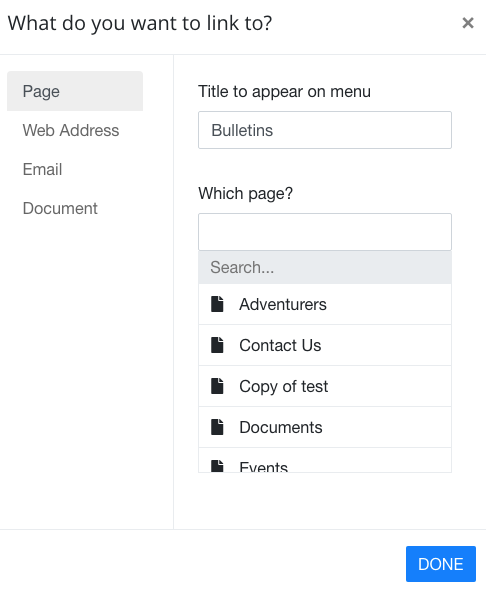 The links can be placed either on the Main Menu (or in a sub-menu dropdown of your main menu), or on any page by using a Text Widget or Card Widget. 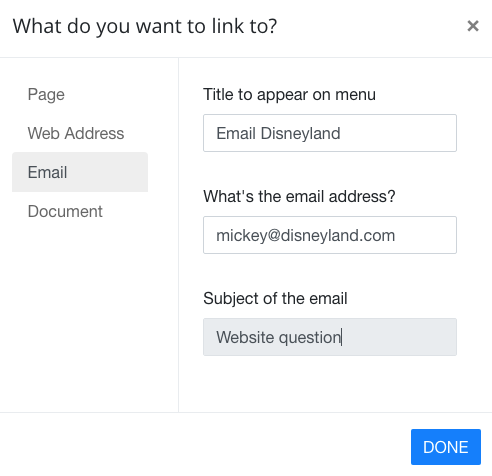 The Main Menu, Text and Card Widgets all have a Link Chooser, which has four types of content to link to: a Page, a Web Address, an Email and a Document. 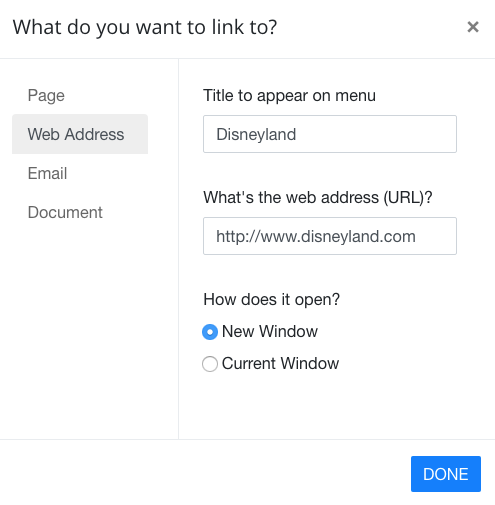 NOTE: To add a link to a Text Widget, type the text you want to be the link then click the 'chain' icon to open the Link Chooser. Click in the Which Page? box and either scroll down to find the item to link to OR click 'Search...' and start typing the title of the item to link to. Click in the Which Document? box and either scroll down to find the document to link to OR click the grey 'Search...' box and start typing the title of the item to link to.